We had a charter that left Hampton Harbor at 7am on Saturday. It was a 1/2 day trip targeting mackerel and stripers (striped bass). The mackerel this time of year are usually around as thick as can be but with the cold winter everything is late. There are mackerel to be caught but they are in the deep water and we certainly had to work for them. After we caught our bait we headed into the Merrimack River (plum island , Newburyport MA, area). 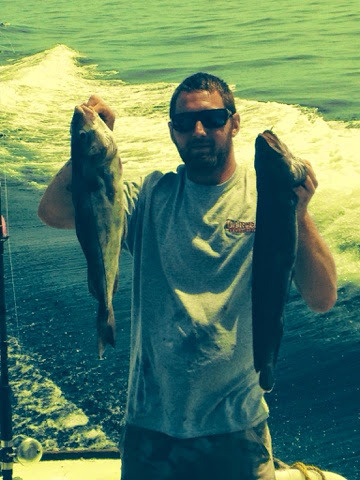 We were not fishing on a favorable tide for stripers but we managed a bunch of hookups and caught some short fish. I believe if we were there for the right tide the fishing would have been very good. Either way the bass are here and we have the just the boat to get you out there and hooked up to them! Open this week. Booked Saturday and I have a call in about Sunday but they have not committed yet so if you would like to go this weekend get in touch ASAP! We also had a bottom fishing trip Sunday. Short and sweet we crushed the haddock. 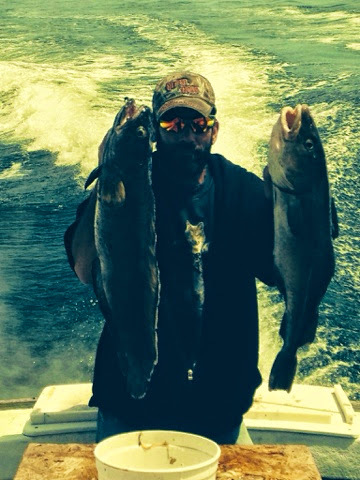 Limited out on large sized haddock in less than an hour of fishing time. We searched for larger cod all day and while that racket was a lite slower we did manage about 15-20 fish ranging from 5-15lbs. Throw in a few massive cusk and we had an awesome trip with perfect weather!